Projects include multi million dollar recording studio’s, personal studios, sports facilities, arena’s, athletic fields, country clubs, theaters, night clubs, restaurants, and Hifi Home Theater’s. Below are a few featured installations. 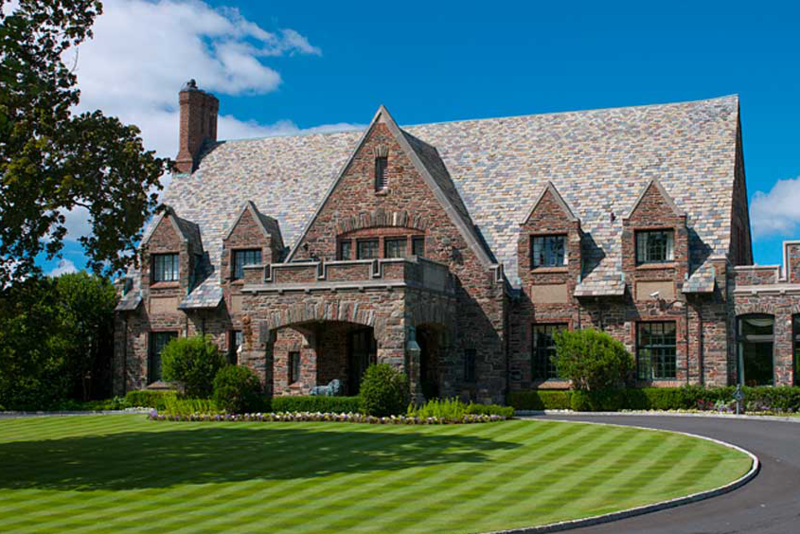 Winged Foot is a historic golf club that has hosted a dozen major tournaments including five US Opens (with a sixth to come in 2020), a PGA Championship, two US Amateurs, the Walker Cup, two US Women’s Opens, and the USGA Senior Championship since it opened in 1923. In 2007, Tobler re-designed the audio system in the clubhouse around Symetrix’s SymNet 8×8 DSP system with ARC-2 Adaptive Remote Control wall panels bringing the historic club into the 21st century of technology. Speakers include countless Electro Voice EVID C8.2 inside the club house, QSC AD-S82HP for all outside locations, and QSC power amps. Several portable QSC K10 systems get deployed on the golf course for clinics. 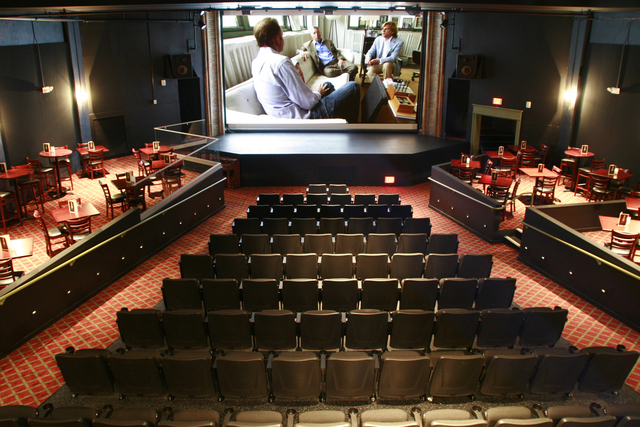 One of the oldest movie theatre’s in the country upgraded their space to accommodate live performance as well as movie viewing. This was a unique design and install challenge being that there are multiple uses for one space. The movie theatre system is a 7.1 surround sound JBL cinema system with QSC amplifiers. The video projector is a 20,000 lumen Sanyo projector with hook ups for blu-ray, streaming web video and many other HD & SD formats. For spoken word or comedy acts the robust cinema system does double duty interfacing with the house 32 channel mixer. When the space is used for live musical performances, a JBL VRX sound system is brought in and either hung or ground stacked. The mixer and wiring infrastructure are pre installed making resetting for a music act relatively easy. A line array could not be permanently hung because it would impede the screen’s line of sight. 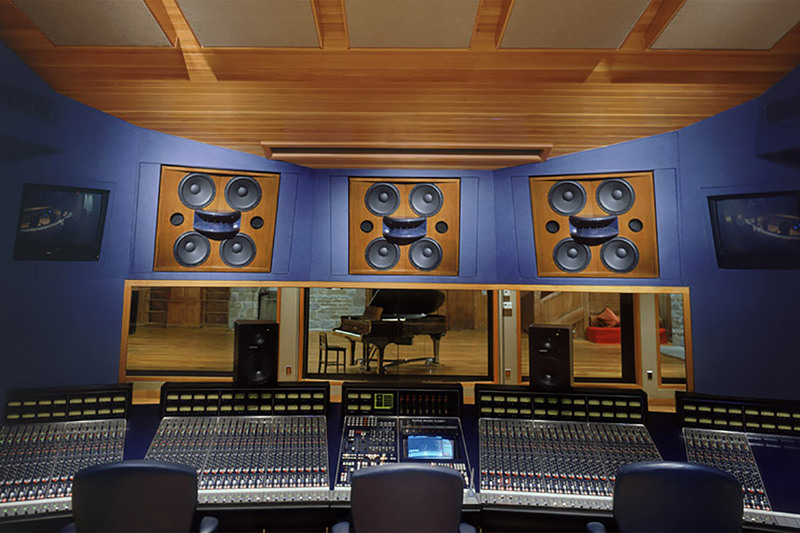 Allaire Studios is the ultimate expression of the residential – commercial studio model. Situated in a 17 bedroom mansion 2,000 feet on top of a mountain over looking the Ashokan reservoir are two multimillion dollar premier studios. No expense was spared. Tobler worked alongside John Stoyrk (of the Walters/Storyk Design Group) and George Augspurger completing the technical install. Facilities include a SSL 9000J series console, Neve 8068 console, multiple Studer 827 tape machines, 80 channels of Pro Tools, top microphones, and countless outboard gear. Once completed Tobler was on staff and worked on many sessions at Allaire including Norah Jones, David Bowie, Joan Baez, Tim McGraw and Jack DeJohnette. 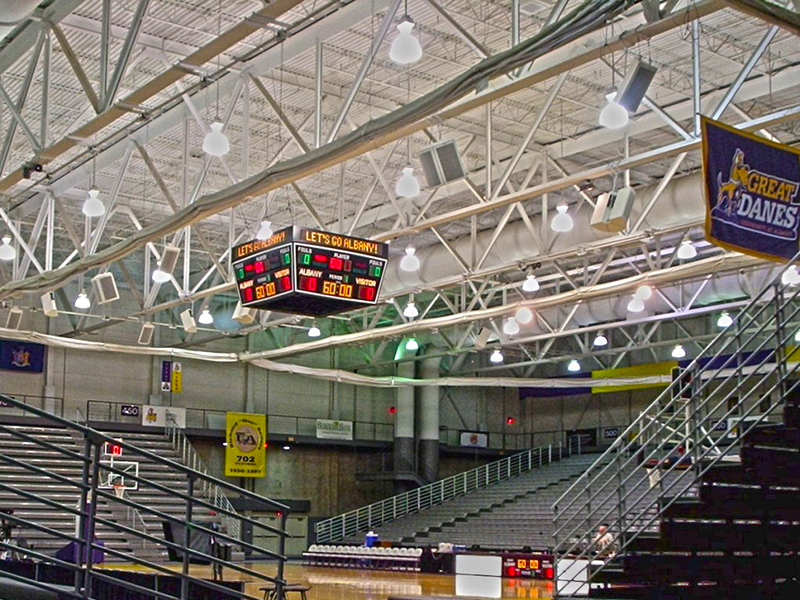 The RACC is home to the University at Albany Great Danes basketball teams and host venue for various rock concerts and university activities. A 50,000 watt all QSC sound system was installed providing even sound pressure level throughout the building. It produces clear speech intelligibility, musical impact and the ability to cut through a loud sports crowd. The DSP used is a media matrix system by architectural acoustics. It has a portable roll around rack that has a small mixer ipod, USB, line inputs, and wired mic inputs. Multiple channels of Sennheiser wireless mic’s and antenna’s are installed.